If you’ve recently decided to return to your natural curls, you might be surprised to learn that you really can’t use the same tools on your strands as you did when you had relaxed hair. So let’s look at the basic items you’ll need to get you started. Chances are you won’t be washing your hair every day, but you will still need to keep your hair moisturised on a regular basis. Keeping a spray bottle filled with water is a great way to ensure hydrated hair. Simply spritz with a little water and you’ll get the job done. Since finger detangling is the best way to get rid of knots and tangles, your fingers will start working for you a lot more. A wide tooth comb is almost guaranteed to become your best friend if you want to detangle as thoroughly as possible. Only go in with the comb after initial finger detangling though. There will be times you want to wear your hair off your face, but just make sure you use the ties without the metal clasps as you don’t want to cause any snagging. You’ll want to protect your hair from forming knots and snags caused by friction on a cotton pillowcase while you are sleeping. Wrapping your hair in a scarf or bonnet made from satin or silk, and sleeping on a pillowcase made from the same fabric will overcome this. 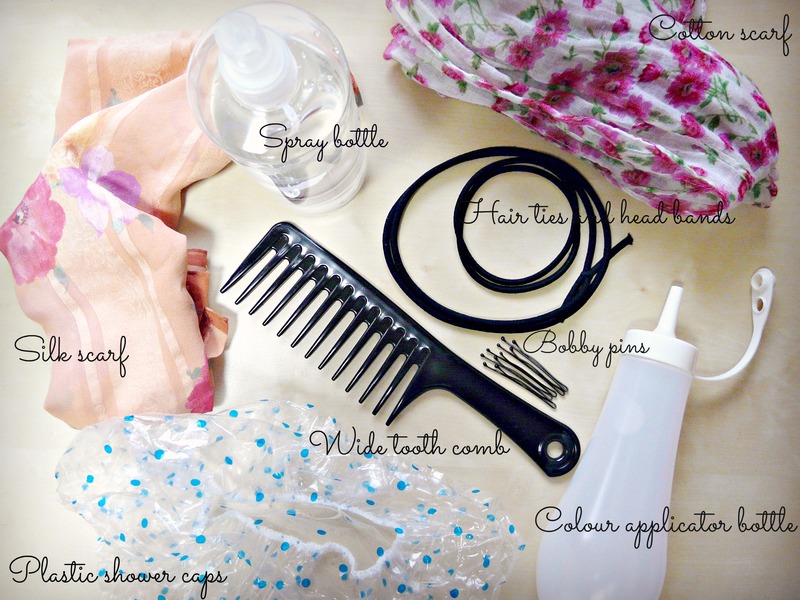 It will also protect your hair from frizz and drying out, which a cotton pillowcase can lead to as it absorbs moisture. After washing your hair, blot (don’t rub) dry with a cotton scarf or t-shirt to absorb excess moisture as a regular body towel is more prone to causing frizz. You’ll need this to apply your home-made deep conditioners and oil mixes in a non-messy way. A plastic shower cap is the perfect way to help with the deep-conditioning process, especially if you’re prone to leaving it on for a couple of hours. The cap will trap the heat from your scalp and create a warm environment which will aid the conditioning process as well as protect your clothes from any treatment that might drip down your neck. You’ll need these to pin your hair up/back/down/ for various styles. Just make sure they are the ones with the rounded ends, otherwise you can say hello to breakage-city. Let me know if you think there are any other essential items to include in this basic list. Otherwise, happy natural hair styling! Check out this blog girls, great info to have especially if you have newly natural. Thanks for reblogging and sharing the good hair love! When it comes to natural hair the list really can go on forever. But when natural hair gets very matted tangled and knotty- conditioner can’t help! The Take Down Remover/Detangler cream is a must have! Here is how we use it in our salon.